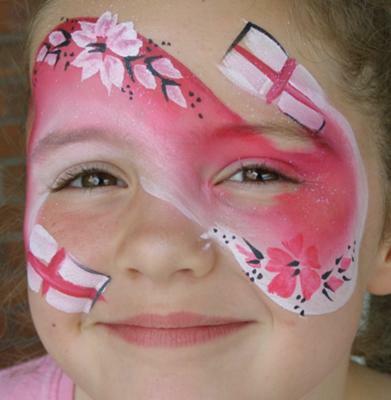 Since 1998, we have been face painting since, putting smiles on the faces of children as well as adults all over the UK! Please do feel free to call us for prices and details, or you can have a look at our website for any other information. If you have special requirements and need someone to go that 'extra mile', we'd be happy to help. Our painters are all CRB checked and carry full PL insurance. We are the most experienced and talented painters in the Midlands. Why take a chance? Once you've booked with us, you are guaranteed to have our painter on time and ready. I just thought you'd like to know that I recently won Body Painter of the Year at an international gathering of body artists in Norfok. 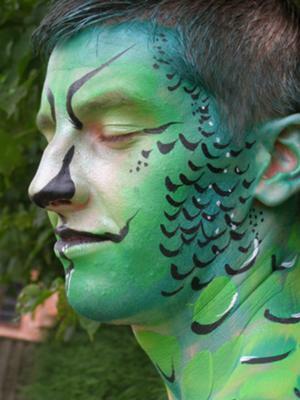 Have a look at my website to see the pictures from this fabulous event and if you'd like to have painted body art at your event, please give me a call. My Glitter body art came 2nd in the competition too and thats guaranteed to bring a sparkle to your party ! lasts for a few days too ! OMG i've never seen painting like yours before, you are inspiring and so entertaining I want you at every party we have in the family because everyone will love what you do. 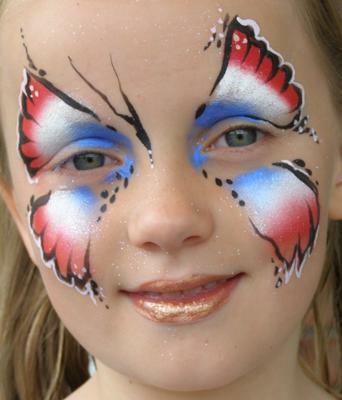 The glitter tattoos that you did on my daughter we fabulous and lasted a week or so, just as you'd said.. my son's face paint was so life like he didnt stop roaring all day ! so thankyou for making their time at the Central Library in Birmingham such a great one. Perhaps we'll see you there again sometime. Helen's comment - Its always good when children remember their manners without prompting and I particularly remember them being especially polite. Thanks for your kind comments and if you want to see more of my work please visit the website. I have been meaning to mail this for weeks so my apologies for the delay. Thank you so much for being super wonderful and extremely friendly on Saturday 26th and for the amazing paintings you did. The adults enjoyed your work as much as the kids! I hope you didnt get heat stroke stood outside all day, and I will be keeping you in mind for future parties. Thanks again, you were the children's highlight !